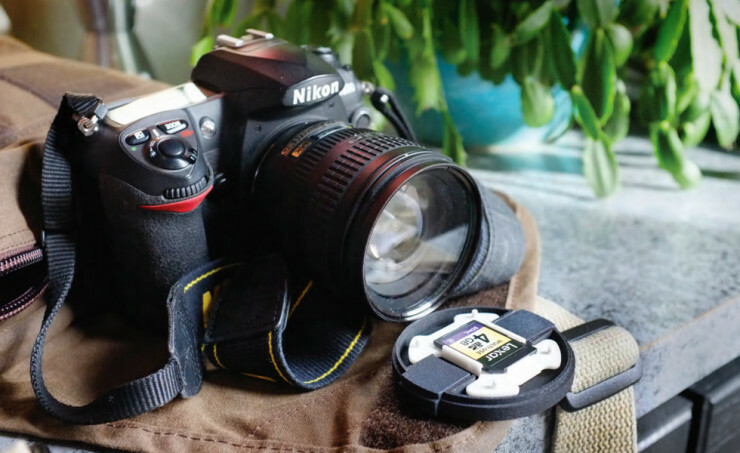 Put That Lens Cap To Some Use, Aside From, You Know, Capping Your Lens | OhGizmo! Lens caps are essential. Lens caps are also pretty useless when they’re not protecting your lens. The Snapper Cap pictured above makes use of the little space between the lens and the cap by introducing a slim plastic insert that allows you to carry an extra memory card. And that right there’s pretty useful, considering how quickly cards can fill up if you shoot a lot. The inserts come in formats that accept SD cards with all size caps, CF cards with 67mm, 72mm and 77mm caps, and even little wipes in the same formats that accept CF cards. It’s cost you a $15 pledge on Kickstarter to get yours, if funding is achieved.